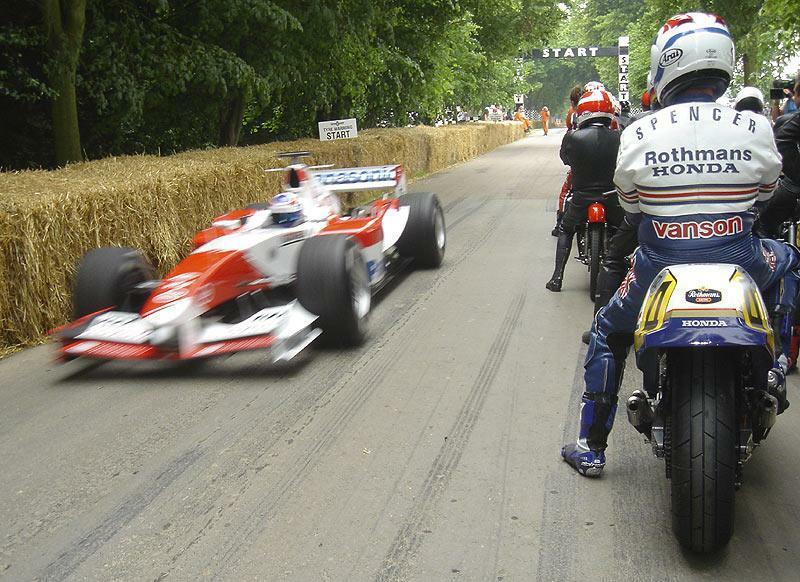 The Goodwood Festival of Speed took place at the weekend and we’ve got some great video from the event. The weekend saw three days of amazing machinery and countless stars riding up the short but dramatic hill-climb route, with the likes of Nicky Hayden, Freddie Spencer, Ewan McGregor, Giacomo Agostini all riding their race machines and Roger Burnett riding Wayne Gardner’s 1988 NSR500. World Superbike commentator Jamie Whitham was riding Bruce Ansty’s TT bike but crashed and smashed it to pieces. See all the pictures of the crash and the rest of Goodwood in MCN, out June 29. Check out the videos below to see many of these stars as they line up for the run up the hill.